Call. BEA - VER Beavers. Beavers. Go Beavers! Let us celebrate the many ways that we are Beavers All! News Items will be shown on publish only! "If you're going to do musical theater, and most music in general, you want to go where the business is. So for the business of musical theatre, that's Broadway." 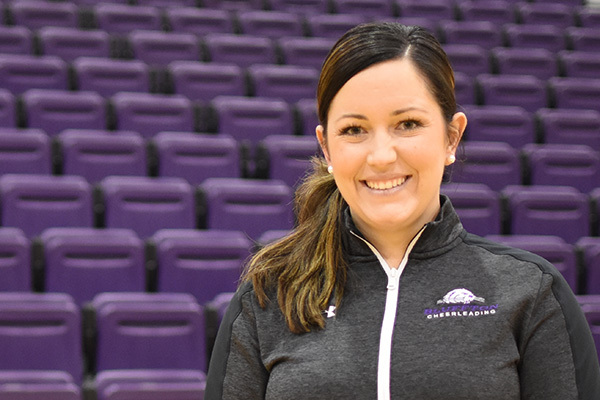 Bluffton's MBA was a fantastic complement to my nursing background.The professors taught me how to be a leader and gave me the educational advantage I didn't have before." "Many of the close relationships I've made in college have started during volunteer trips through SERVE. Taking part in events like our spring break trip helps you meet many new people." "I came to Bluffton for the small campus. And of course, because my sister came here." 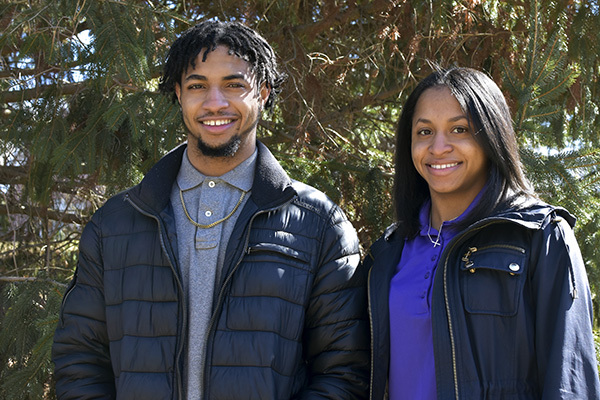 Omar and Keturah Warlick, who both run sprints on the track team, have grown closer while finding their own paths. 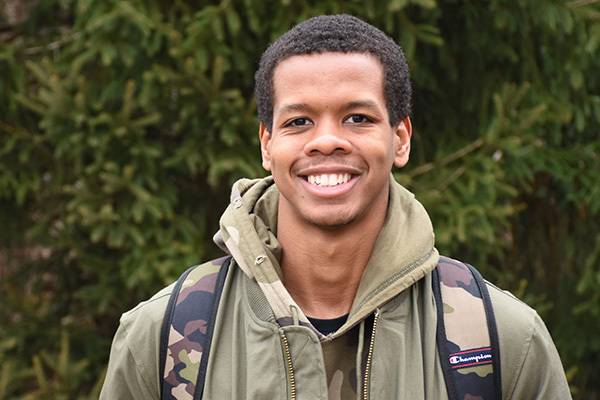 Obi Martin '20, an English major from Juniata County, Pa., maintains, with friends, an online poetry journal that offers a voice to conservative Mennonite and Anabaptist writers. 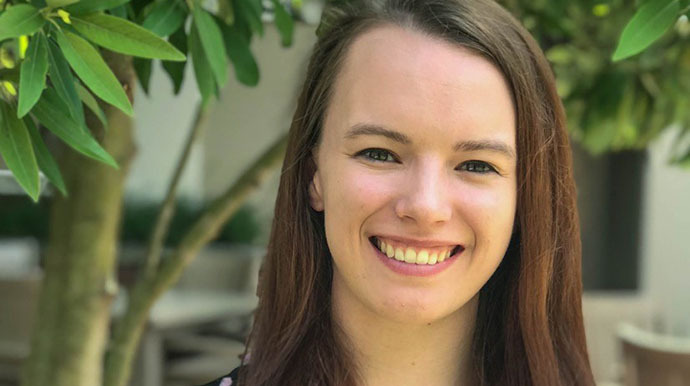 Abbi McCormick '19, a psychology and sociology double major, has spent the last four years developing the skills and confidence to pursue a master's in mental health counseling following graduation. Casey Clark '19, a biology major from Lima, Ohio, will further her interest in orthopedics following graduation. 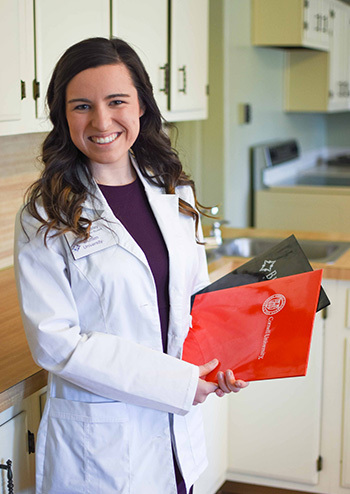 The senior was recently accepted into Marietta College's physician's assistant program. My dream is for the organization to be a place where people can get together, compete, play, mingle with each other and bridge every group on campus." Keyon Camden started as a music major but realized his calling was in helping others in a more direct way. 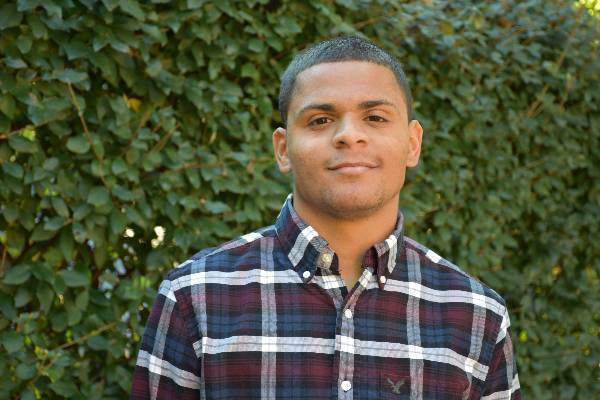 Transitioning to social work, for him, was the best decision he's made in college. 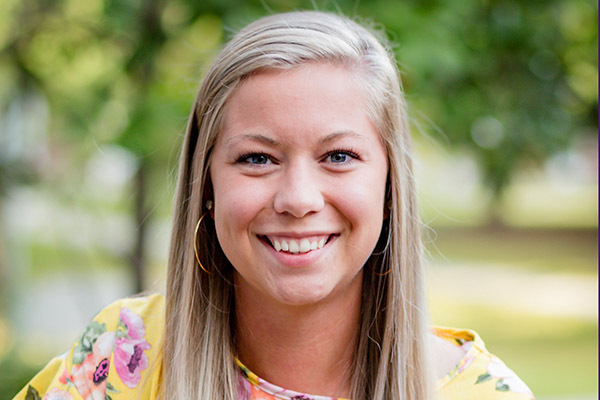 Morgann Rode, Bluffton’s cheerleading coach for the past three years, is excited to expand the opportunities available on campus with a competitive cheer/STUNT program. Another generation of Beavers have concluded their mascot mission and are preparing to tuck away their tails. Let's learn about the newly-identified Beavers. Senior public relation major Jena O'Brien came to Bluffton for the academic support. Four years later she says the opportunities provided have equipped her for the job market and for life. "I'm ready to start looking for jobs," said Justis Dowdy, a senior sports management major and member of the men's basketball team. "I feel prepared and I owe a lot of that to Coach Neal." We really pay attention to details and explain the 'why' behind what we teach." 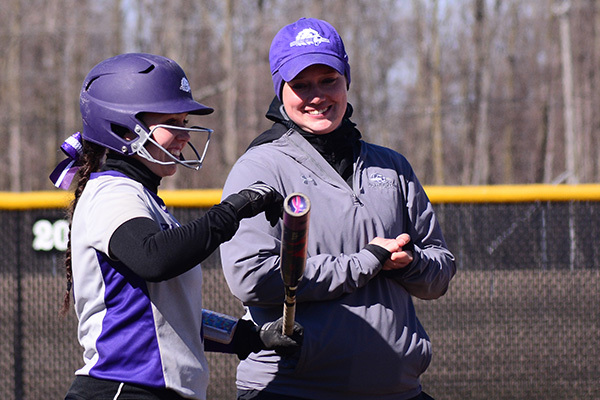 Head softball coach Amanda DeMoine is excited to share her knowledge of the game. Aryn Preston understands the importance of advocacy and mentorship. With the desire to extend support to others, she changed her major to social work half-way through her college career. 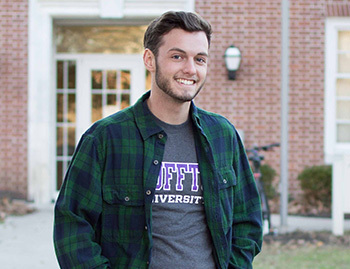 While at Bluffton for just two years, Michael is getting the most out of his Bluffton experience. He plans to graduate in May and is applying to graduate schools for physical therapy. 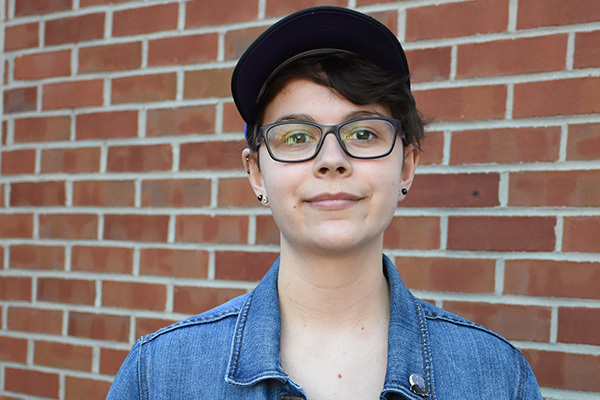 "I'm looking at the effects of waste--especially paper waste--how it biodegrades, and then I'm researching students' attitudes toward recycling." 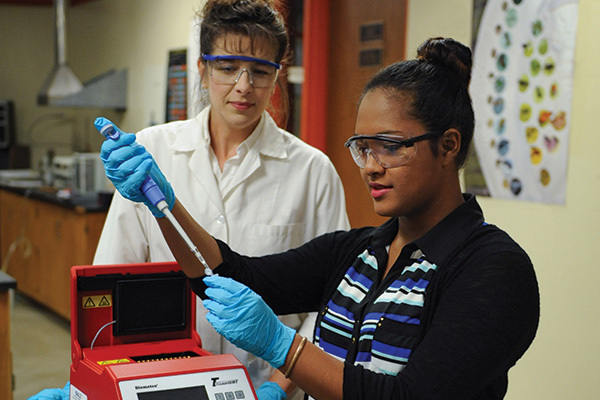 Alicia Loch's year-long research project combines her majors--biology and sociology. "I want to make a difference and do something different every single day. With nursing you get that." Sophomore Paige Lawhorn is doing just that as an STNA working at a nursing home near campus. 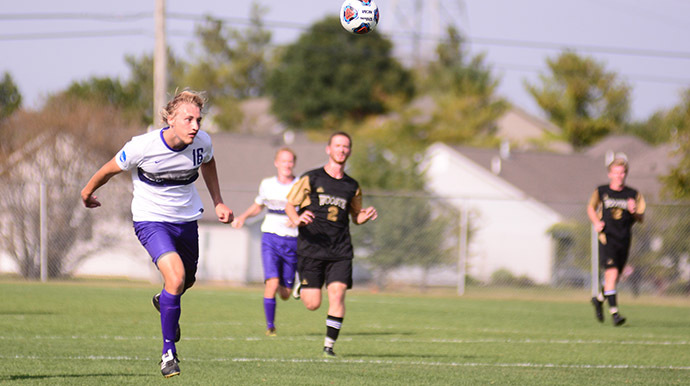 Ben Black transferred to Bluffton as a chemistry major, but soon added physics and mathematics majors. When the pre-engineering major was offered, Black figured why not add one more. "I think there's a lot of cool math ideas that you can teach students even if it doesn't really apply to the curriculum." Such as Mayan numerical concepts explored during a cross cultural experience. The summer between your junior and senior year is a really crucial time to do something to promote yourself and get extra experience someone else might not have. Hannah Brown '19, a nutrition and dietetics senior, stepped out of her comfort zone and her academic discipline to complete a cross-cultural experience through a three-week BCA Study Abroad program. 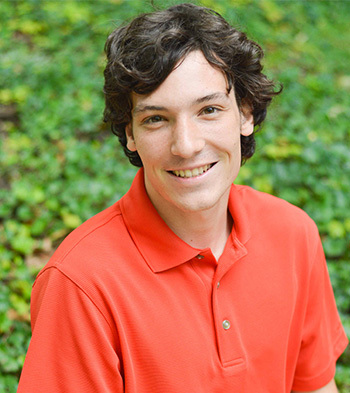 Jayden Groppi '19, spent his summer exploring culture and self, both locally and abroad. Joshua Ehlers ’19 spent his summer in the heart of Washington D.C., learning about the economic divide on each half of the Anacostia River. 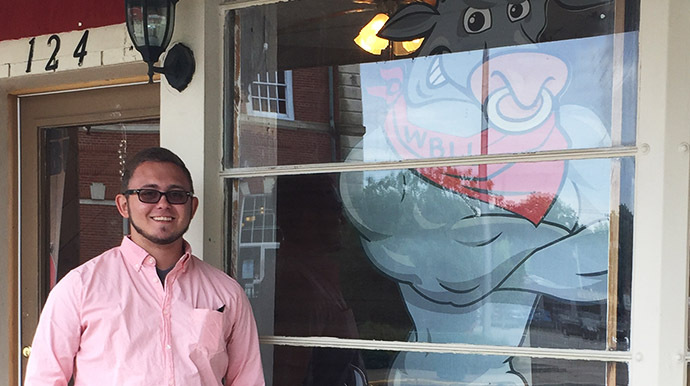 Timothy Bender '20 spent the summer discovering what he wants to do with the rest of his life, with help from Bluffton's Summer Discovery Grant. Psychology and food and nutrition might seem to be two majors with very little in common, but for Becca Starn '19 they are an ideal match. 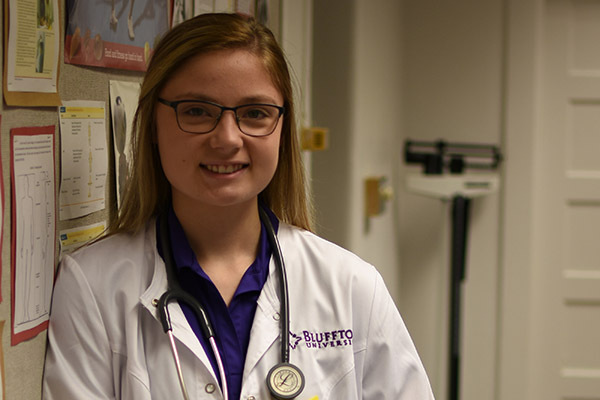 Bluffton University junior Alexis Montemarano started on her journey to becoming a speech-language pathologist in preschool. That's where the SLPA major befriended a classmate who was deaf. For Seth Regula, a senior music major, making connections on the business side of the music industry is key to his future. 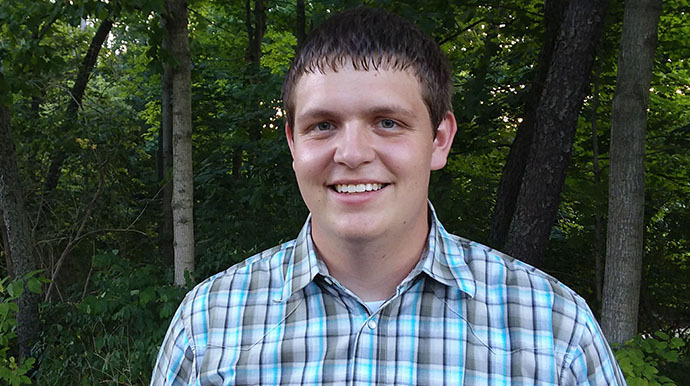 With zip lining, swimming and rock climbing on the daily schedule, senior sport management major Adam Knott found the perfect summer job/internship at Pleasant Hill Outdoor Camp in Perrysville, Ohio. 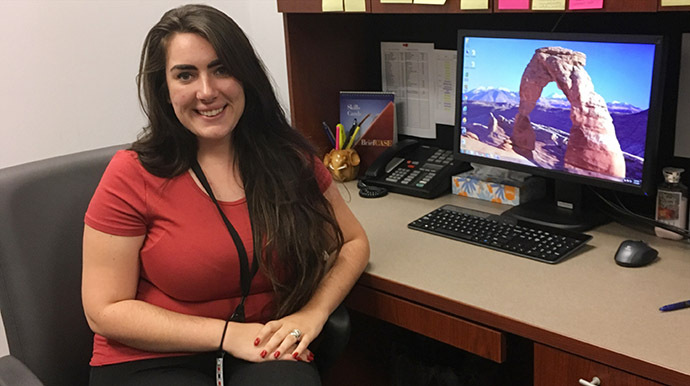 Scarlett Purtee, a sophomore criminal justice major, has dealt with everything from lost cell phones to line jumpers to rowdy light night crowds as a security officer at Cedar Point. 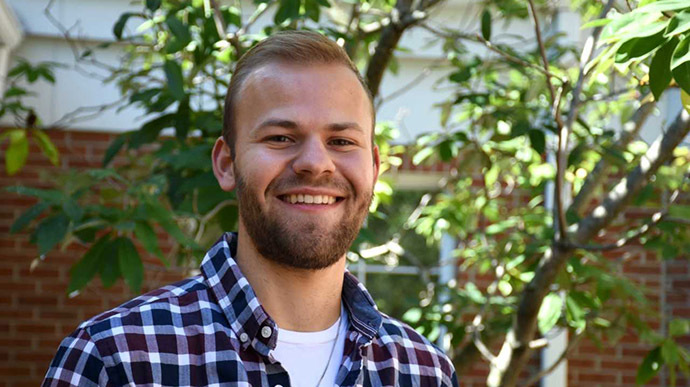 Transfer student Lucas Keller designed his own major, "the sociology of community development," which incorporates classes from sociology, economics and political science. 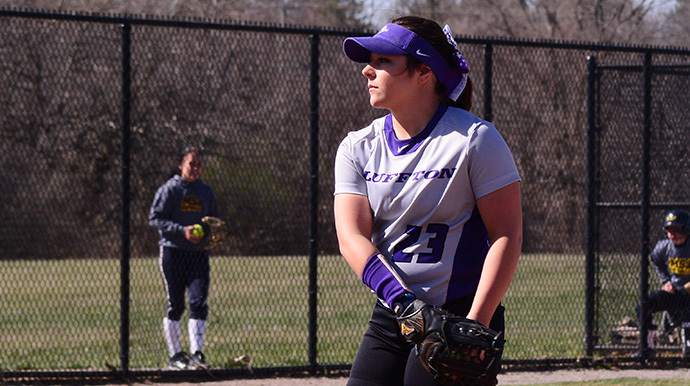 Destiny Grant, a psychology major and criminal justice minor from Belle Center, Ohio, came to Bluffton as a nervous freshman. At the end of May, Bailey Baker, an early-childhood education and intervention specialist double major from Toledo, Ohio, witnessed the "cutest thing" she had ever seen. 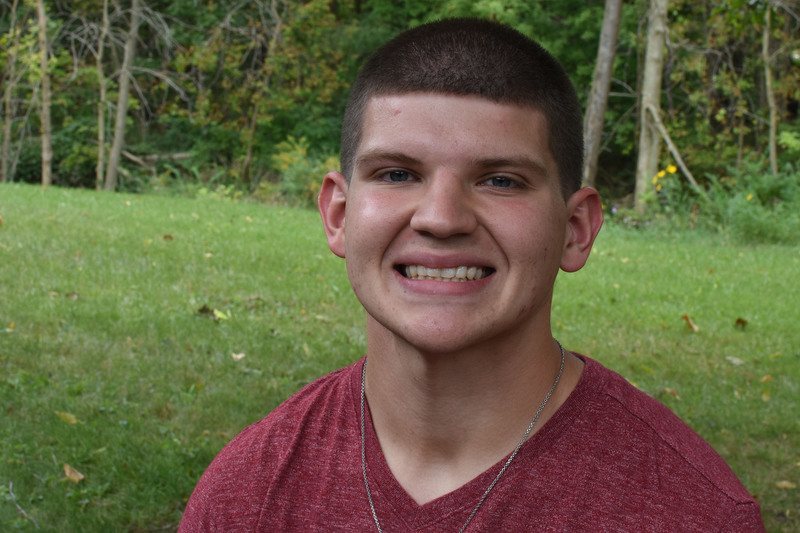 Ask senior Ty Avila his plans for the future, and he'll tell you, "I have big dreams." He is already making those dreams a reality through a summer job at WPKO. The course titled “Historical and Theological Studies: Bible and Disability” introduces students to emerging issues in the field of religious studies. For Alexis Link '21, sound and color collide in amazing ways due to a sensory condition known as synesthesia. 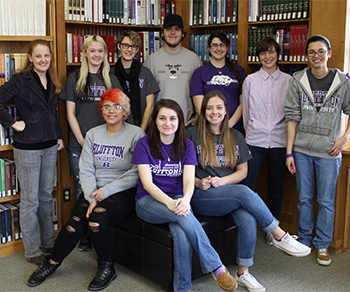 Bluffton University's student news organization, "The Witmarsum," has surpassed its content goal by 50 stories this year and has certainly undergone a transformation in the past two years. 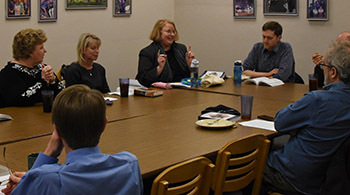 During the spring 2018 semester, more than 20 faculty and staff members gathered weekly to discuss the importance of a peaceable vision of education in and beyond Mennonite schools, colleges and universities. 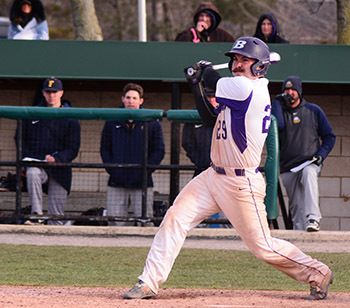 Ryan Golden, a senior from Findlay, Ohio, is standing out on the baseball field for both his batting average and his unique mustache styling. 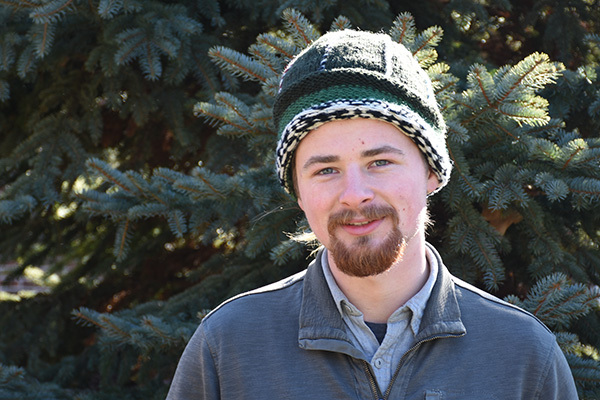 Wyatt Baer '18 from Marshallville, Ohio, didn't choose an ordinary academic plan for graduation. Hannah Brown '20, a graphic design major from Findlay, Ohio, traveled more than 1,000 miles away from home with the help of a little pixie dust to take part in an extraordinary internship experience. Sarah Heydinger '21 of Tiro, Ohio, is jumping hurdles in the classroom and on the track as she works to balance her academic and athletic ambitions. Laura Galley '18 a nutrition and dietetics major from Cumberland, Ind., was recently accepted into the Ph.D. program at Cornell University. 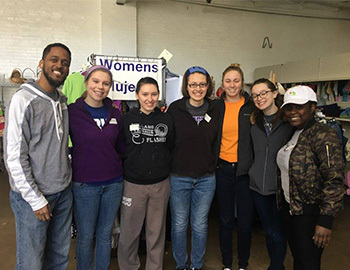 Students taking part in Bluffton University's SERVE organization spent the spring break in the Columbus and Cincinnati regions, working with impoverished families, women's shelters and area churches. 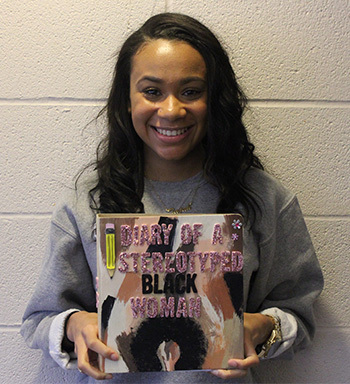 Tajah Upshaw '21, a criminal justice major from Lima, Ohio, explored the broad stereotypes she and other women of color have experienced. 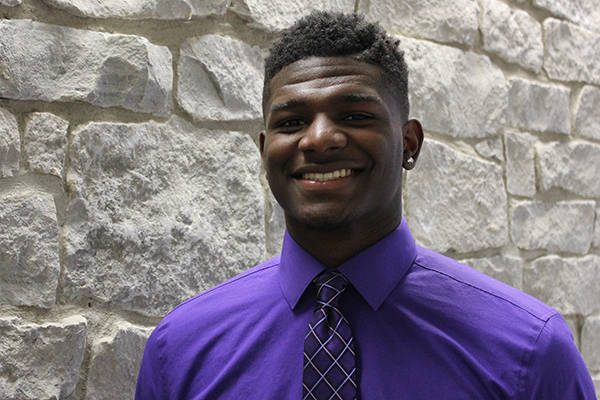 Jacob Hill, a business administration and accounting double major, was recently elected student senate president. He has a personal connection and understanding to the difficulties that can arise in life. 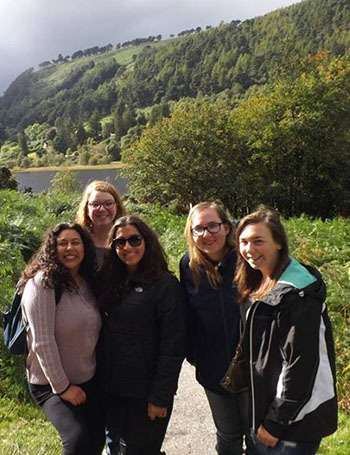 Micayla Hanover '18 traveled more than 3,000 miles to attend Maynooth University in Ireland. 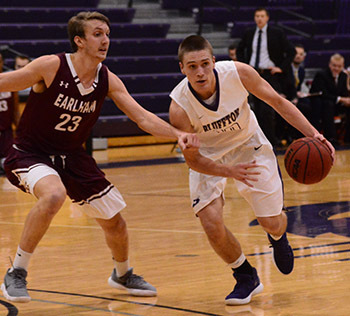 Two Bluffton University students are expanding their knowledge of collegiate athletics through the Heartland Collegiate Athletic Conference's (HCAC) newest mentorship program. 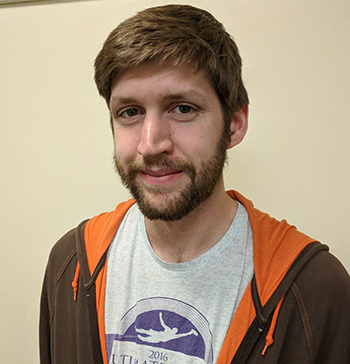 Micah Hunsberger '18 has spent three consecutive summers furthering his knowledge of computer programming through paid internships at Tempus Technologies in Auburn, Ind. 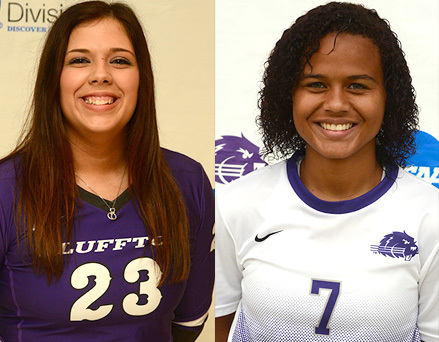 The identities of J. Denny and Jenny Beaver are a tightly guarded secret at Bluffton University. For Lydia Sorenson, a sophomore from Ada, Ohio, college is presenting the opportunity to discover new routes to achieve her academic goals. 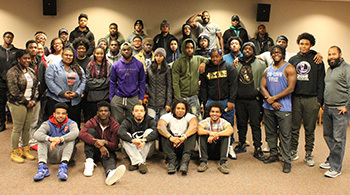 Bluffton University's Multicultural Student Organization (MSO) is growing and adapting to fit the needs and interests of today's students. To his students, Jeff Gundy, the professor of English is known for the striking way he begins each class. Kimberly Meyer, a music and music education double major from Defiance, Ohio, decided to step outside of her comfort zone by completing her student teaching experience in a completely new setting--Chicago. 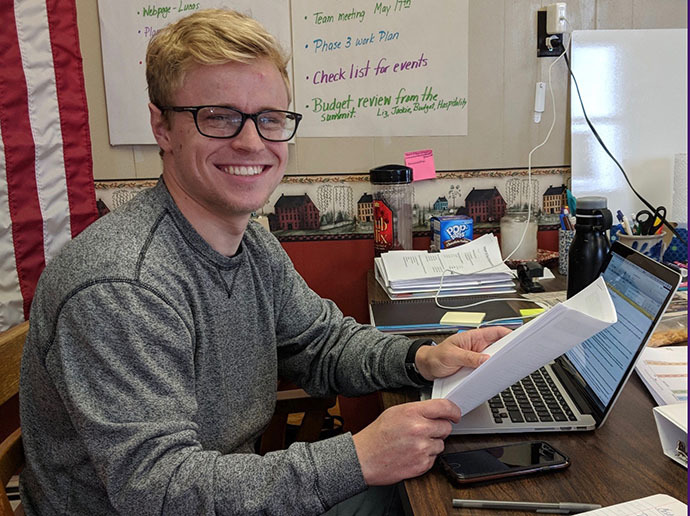 Nathan Otto '18, a middle childhood education major from Orrville, Ohio, spent the fall semester in Chicago for his student teaching experience. For Andrew Renner the saying like father like son applies to his college experience. The sophomore basketball player shares not only an alma mater and future career path with his father but also a coach. 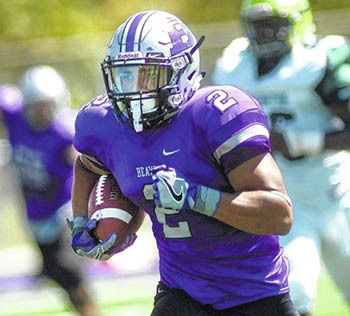 Micah Roberson, one of the most highly decorated football student-athletes in Bluffton history, nearly gave up the dream of going to college. 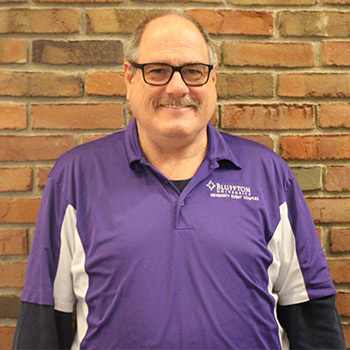 Mark Bias has worked at Bluffton for 11 years and can typically be found in the Bluffton University Event Complex cleaning or managing student workers. The second edition of "Bridge: The Bluffton University Literary Journal" is now live. Emily Short wears many hats. She is a bible and theology major with three minors (psychology, sociology, and peace and conflict studies). For Chanhee Hwang '19, a business administration major, college has been both a rewarding and a challenging time. 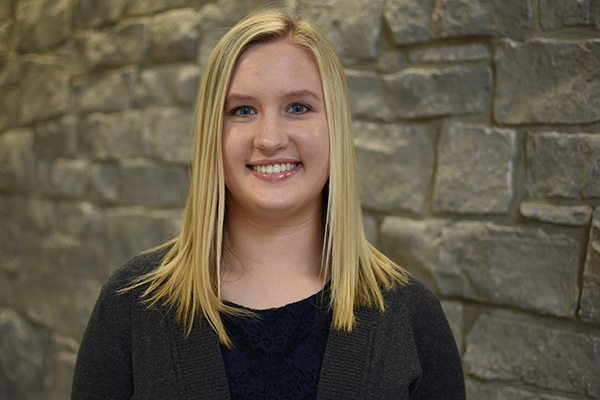 After taking part in three successive internships, senior Emily Griffith, is gaining a lot of experience in the field of accounting. Kelsey May is jumpstarting her career in the field of nursing with a unique opportunity. Austin Every '17 experienced the opportunity of a lifetime. 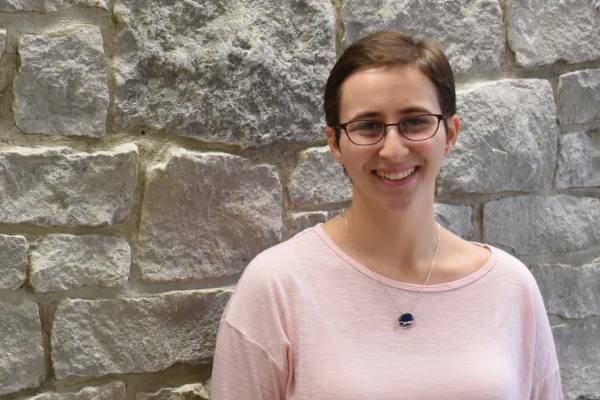 The information technology major and graphic design minor earned an internship at NASA in Washington D.C.
Maria Hernandez, a mathematics and physics double major, is engaging and growing in her Mennonite faith while offering her voice and insight to the community. Kris Lyons '18 spent the summer shadowing radiation oncologists at the Cleveland Clinic. Scott Bergman '06 is teeing off with Bluffton University once more. Stepping back onto the course, this Bluffton graduate is serving as an assistant coach for the men's golf team. 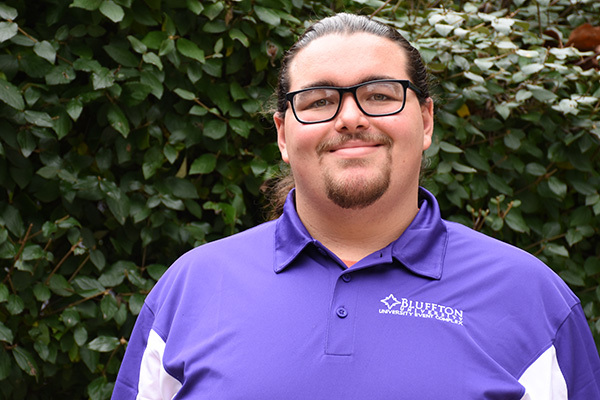 Jason Summers, an accounting and business administration double major, has spent the last two semesters as well as the summer learning outside of a traditional classroom setting of Bluffton. Kala Jilani-Pritchett '18, a psychology major from Dayton, Ohio, took part in an experience this summer that offered insight into her future. 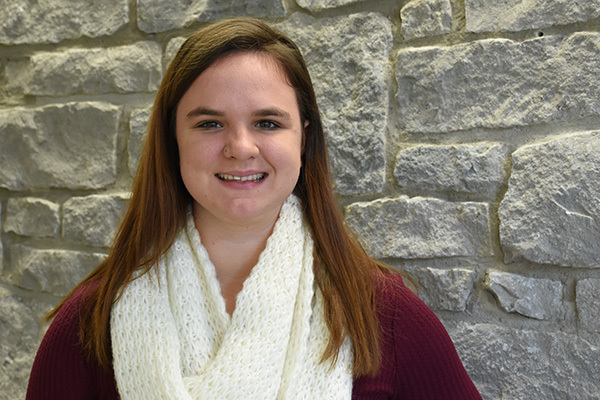 Kasey Mohr enrolled in Bluffton's blended degree-completion program while working full-time. 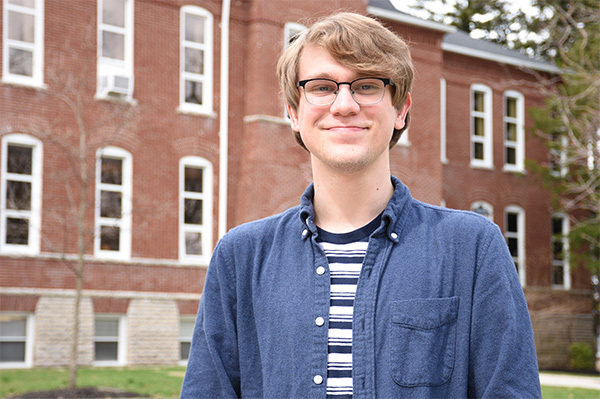 John Parent '18, a senior English major with a concentration on adolescent/young adult education from Delphos, Ohio, is not only a full-time student at Bluffton. Senior Katie Keesbury found her calling this summer, nearly 5,000 miles away from her hometown of Bryan, Ohio. Emma Eickholt '18 spent the summer volunteering at Lima Memorial Health System to learn more about careers in speech-language pathology. 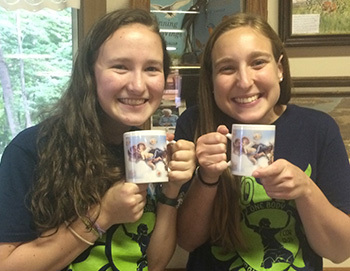 Erika Byler '18, a communication major, found her calling this summer through the Ministry Inquiry Program. It just wasn't the calling most participants find during the program. Hannah Conklin, a sophomore convergent media major from Westerville, Ohio, spent the summer as an intern at 104.9 The River. 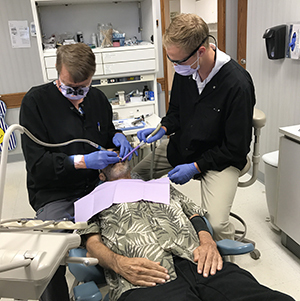 Justin Kauffman '20 gained vocational experience in the field of dentistry this summer by volunteering at a free community clinic. When Amber Edwards had the chance to take a creative writing class, she immediately signed up. Now, two pieces from the class have been published by a literary journal specifically for college writers. Kevin Williams admits what he's most looking forward to is the relationships he will be able to build on campus and within the community. After witnessing the positive impact Stepping Stones had on her little brother, Takayla Gadberry decided to become part of the Cincinnati-area non-profit's team this summer. Lauran Brown '18 of Norwalk, Ohio, admits she wasn't the best student in high school. However, her attitude changed when she became an accounting major at Bluffton University. 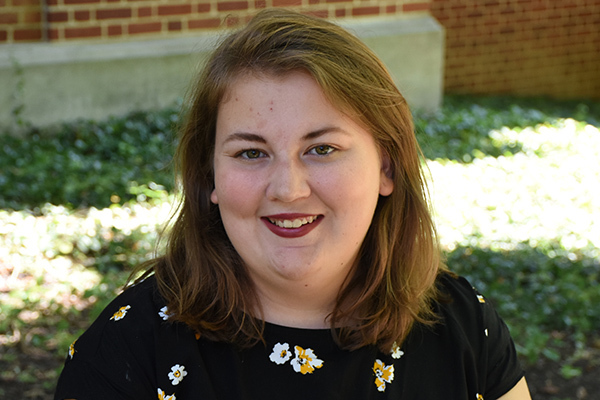 Sarah Oliver '19, a biology major from Lexington, Ohio, came up with the idea for a summer research project from a place where many students come up with ideas--YouTube. She is attempting to hatch ducklings outside of their eggshells. Dr. Karen Klassen Harder, professor of business, presented "Images of Leadership" to about 30 business department faculty members at Banaras Hindu University in Varanasi, India. 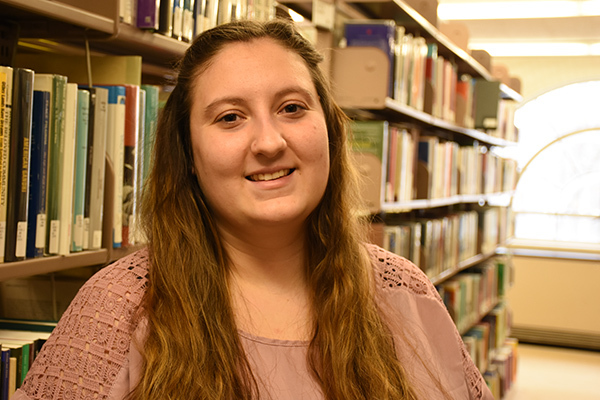 April Misamore '18, a food and nutrition major from Findlay, Ohio, recently received two back-to-back recognitions that emphasize the hard work and dedication she's put into her academics. 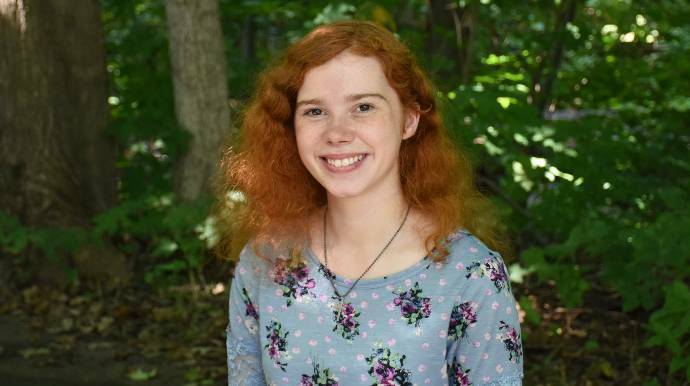 Becky Boban '19, an art and writing major from Madison, Ohio, recently received a unique honor with her poem "Built on the Breeze." Stories, prose and poems from 20 young writers are featured in the first edition of "Bridge: The Bluffton University Literary Journal." 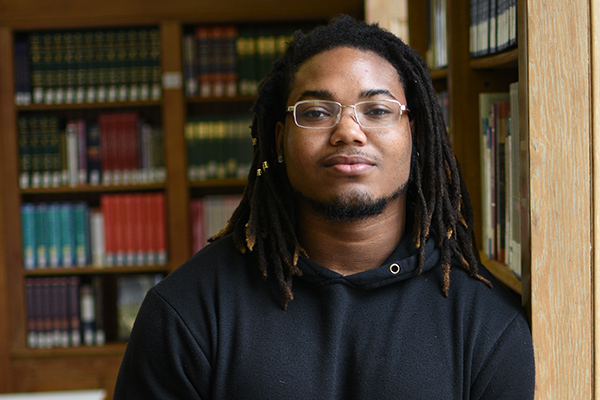 If you ever head to the weight room at Sommer Center, there's a good chance you'll run by Ollie Moorer either lifting weights, working on cardio or even clearing his mind with yoga. Malika Thompson '18, a Spanish major from Cincinnati, Ohio, is spending the spring semester in Barcelona, Spain. 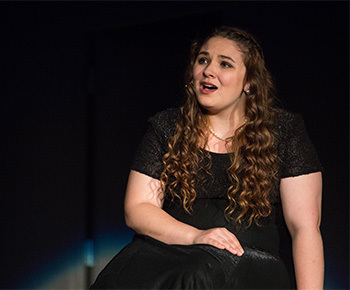 Five Bluffton University students recently earned the chance to showcase their vocal talent in front of crowd gathered at Yoder Recital Hall for the annual Masterworks concert. 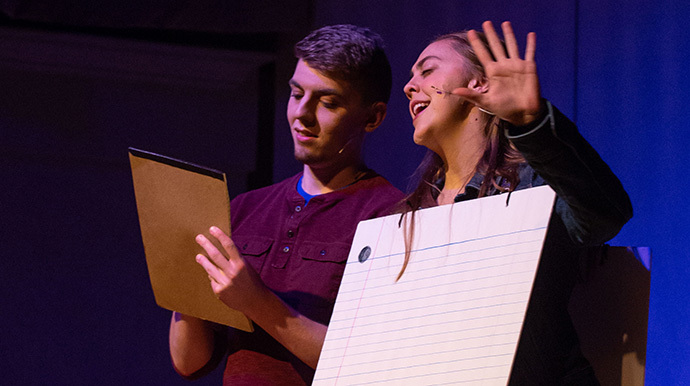 Senior Brianna Lugibihl combined her love of theatre, education and social change to create "DEMO," a two-act play which recently debuted at Bluffton University. 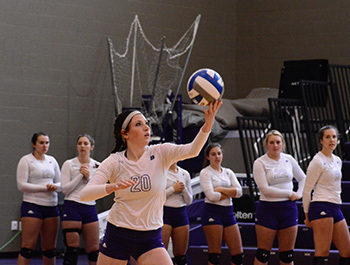 Tessa Short was in a 1998 edition of the Bluffton alumni magazine when she was just 18 months old. 18 years later she's back to continue a fourth generation legacy. Sophomore Brista Drake is working on her second book. 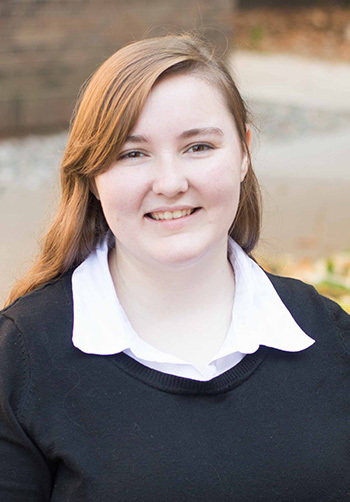 The art and writing major self-published her first work, a young adult novel called "Remedy for Memory" in 2015. 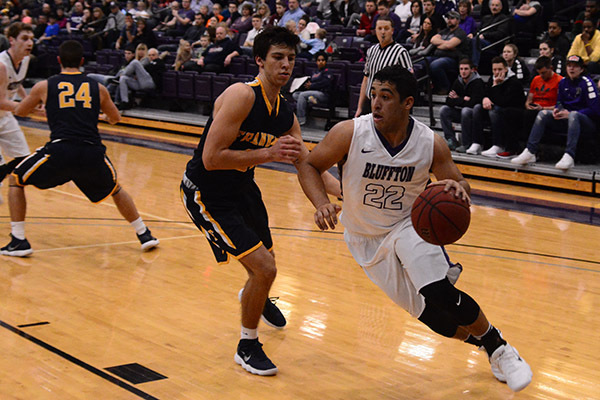 At Bluffton, Demetrius Terry '20, a history education major from Columbus, Ohio, can often be found on the field or on the court, but he can also be found behind the mic. 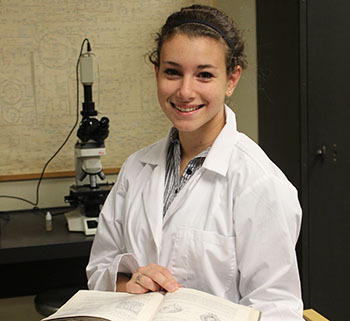 Chelsea Zoltowski '18 presented a forum, "Sticky Geckos: My Research Experience Studying Gecko Adhesion" in Musselman Library. Each year, Bluffton University food and nutrition majors are asked to think outside of the recipe card to develop nutritious meals for Lunch and Learn. During the fall 2016 semester, Brianna Keith '18, a music major from Grafton, Ohio, explored the harmony between technology and music. Bluffton University students who took ceramics in fall 2016 not only created bowls, plates and vases during the semester, they built a kiln to fire their pieces in. Claire Clay is a big fan of political dramas on television, she got to experience the drama, political intrigue and scandals in real life this fall. Bluffton alumnae, assistant to the business manager, grandmother of six and nationally and internationally ranked heptathlon medalist Janean (Franklin '86) Shannon continues to conquer. At 16, many students are focused on getting their licenses and looking forward to their junior year of high school rather than considering their college careers. However, for Bradley Hardesty, college is already a reality. Bluffton University's Eric Beachy, a food and nutrition major from Millersburg, Ohio, has a 15-year plan, and it's ambitious. 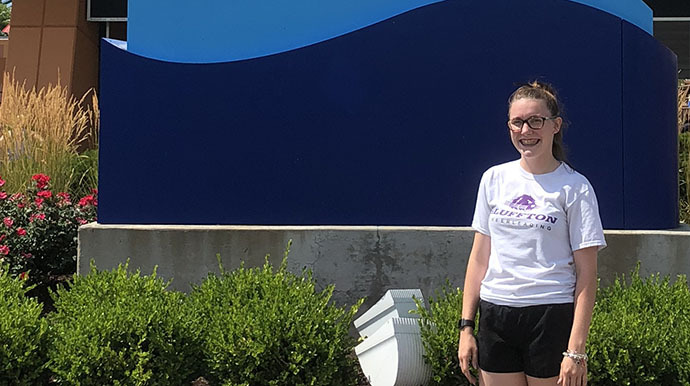 Rowena Zuercher '20 took a gap year between high school graduation and her freshman year at Bluffton University to work with the active service groups in Los Angeles. Adam Craig, Bluffton's newly-hired golf coach, took an unconventional path to the green. Like one of golf's greats, he didn't pick up the sport until he was a teenager. During the summer of 2016, Chelsea Zoltowski, a chemistry major from Toledo, was part of a team using biomimicry in their study of geckos. Just hours after walking across the graduation stage, Alicia Rodriguez '16 boarded a plane for a flight which would take her halfway around the world to Bangladesh. 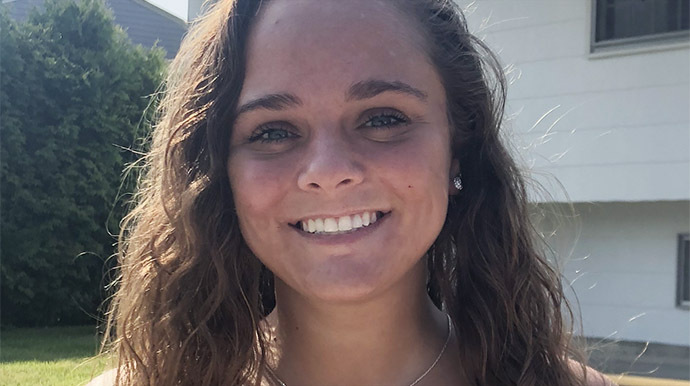 Recent Bluffton University graduate Meg Short '16 from Archbold, Ohio, has undertaken a year of voluntary service work to discover more about the poverty and the conflict that exists within the world. 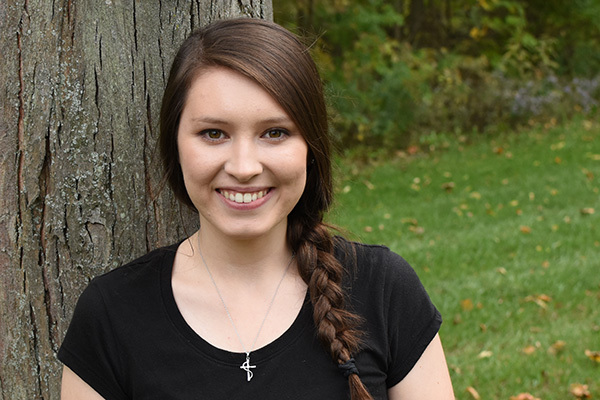 A recipient of Bluffton University's $1,500 Summer Discovery Grant, Kasey Myers '18 combined her knowledge of nutrition with a focus on ministry. 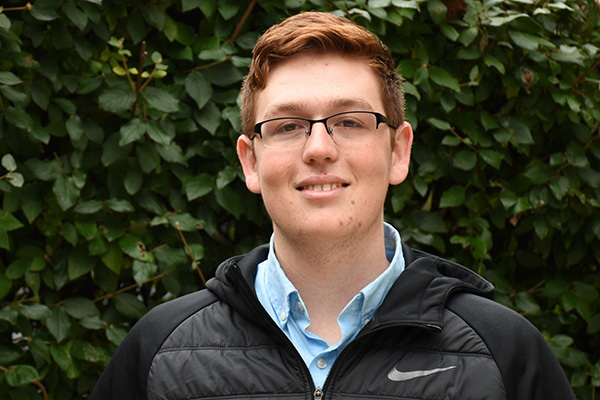 During the summer of 2016, Blake Hershberger immersed himself in the Guatemalan culture, living in Guatemala City for a month with the aid of a $1,500 Summer Discovery Grant. Tyler Rotstein, a junior business administration major and football player, is competitive on the field and on the track, but not the track many might be thinking. Bluffton University's newest addition to the English faculty is spearheading a new initiative for the university. Jamie Lyn Smith, assistant professor of English, will direct Bluffton's new literary journal. When Madeleine Elwell returned to campus for her sophomore year, she packed the typical items, but brought two new items--a sash and tiara as the 2016 Butler County Junior Fair Queen. After 11 years of showing animals through 4-H, this was Morganne Faler's final year of eligibility, she had never won the competition and her hog was named Grim Reaper. 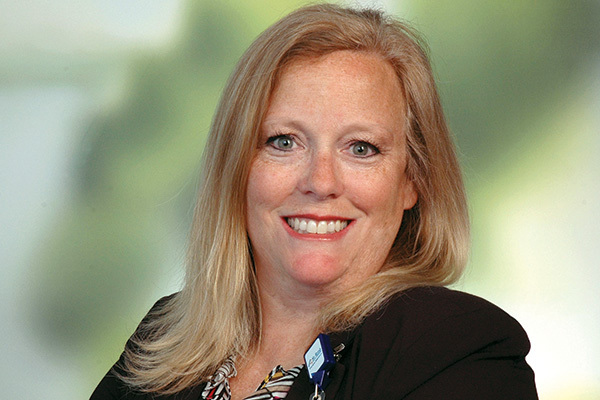 Sherri Winegardner '91 is reviving the RN to BSN program she graduated from 25 years ago. Kenny Beeker is delving into the heart and soul of his hometown this summer during a three-month Community Heart and Soul internship. Dean Walters traveled, learned a new language and observed the treatment of diseases this summer, as he spent six weeks in Peru completing an immersive Spanish and medicine internship. From clay to cups, Mary Bias has been creating ceramic pieces since the beginning of her senior year at Bluffton. Bias, who lives in Lima, says creating from clay is a way for her to talk to God. The May Day tradition of first-year students dancing around the Maypole holds a great significance for Cara Echols, a dancer who is wearing navy blue this year. Mark Bourassa, assistant dean of students and director of the Bluffton University event complex, has welcomed a new addition to his family--a daughter named Andrea-- who was adopted from the Philippines. 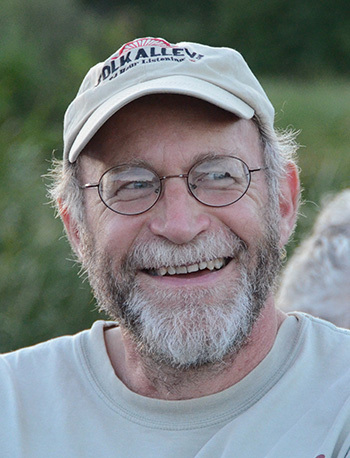 Dr. Darryl Nester has a crush--lyrically, at least--on pi. His "Pi (A Love Song)" is a hit, as a winner in the National Museum of Mathematics' 2015 song contest. Phil Sugden, assistant professor of art, along with his wife Carole and two videographers, traveled to Havana, Cuba for winter break. This past summer, Bluffton University Freshman and cross country runner Kiera Suffel got to experience life in Costa Rica as she went there on a trip with a Spanish club. 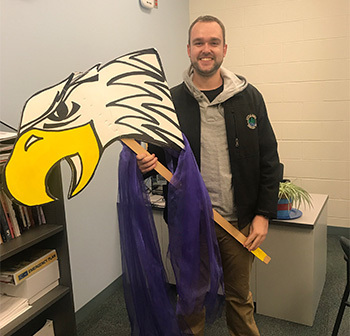 From the beginning of his college career through his first year of teaching full time, the one thread that has remained consistent for John Burkhart, assistant professor of accounting, is Bluffton University. 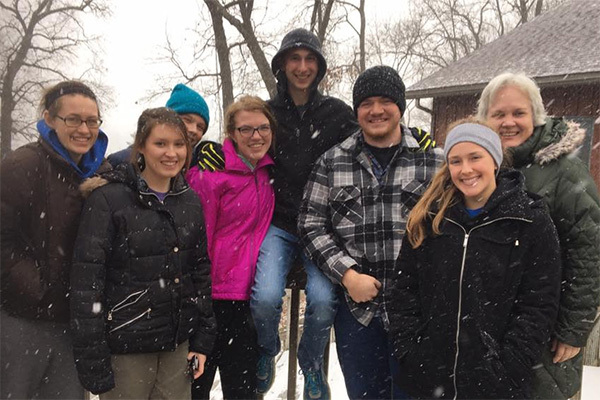 Their reasons for going differed, but Bluffton students who traveled to New York City for the Mennonite Central Committee (MCC) United Nations Seminar shared a learning experience. Head volleyball coach Steve Yarnell traveled more than 1,000 miles to cross something off his bucket list. Carrie Phillips curated an exhibition of Bibles from the 1500s in connection with the August observance of the 175th anniversary of the building of the first Mennonite church in the Bluffton-Pandora area. Jackie Wyse-Rhodes, assistant professor of religion, has always enjoyed sending and receiving mail. "League of Extraordinary Pen Pals" was a new hobby she was excited to pick up. While he's still a relative newcomer to campus--arriving just last March as director of human resources--Scott Sharik has quickly come to appreciate the university's four enduring values. Tyson Goings is coming back in order to give back. He hopes to provide the same environment to students that head football coach Carlin Carpenter afforded him years ago. A trip to the Dominican Republic was life-changing for Lauren Dickerson. An interest in international adaption sparked by that trip manifested itself in a children's story written for her Becoming a Scholar class. A new course this semester has had students spending part of their time learning about various cultures, and the other part cooking their cuisines. 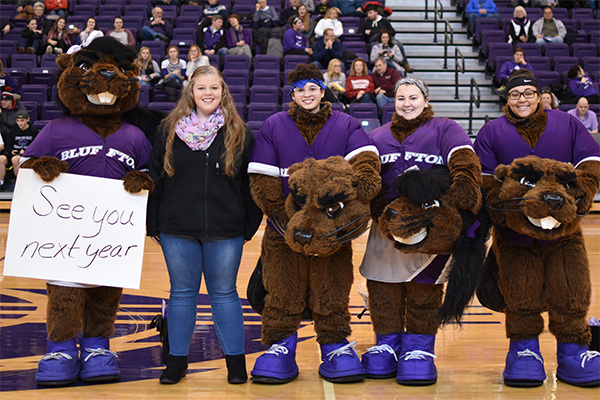 The university’s Student-Athlete Advisory Committee (SAAC) has had a busy year aiding the Ohio Area 3 Special Olympics. Several Bluffton students heard stories of nonviolence from an unlikely felon and explored peacemaking methods to build a bridge between faiths at this year's Intercollegiate Peace Fellowship Conference. 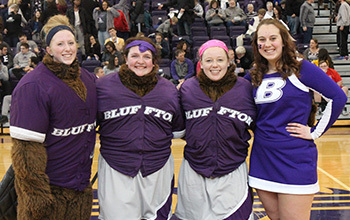 When the women's basketball team defeated Defiance, the players were ecstatic with the win but little did they know it was the 100th of Coach Chad Shutler's career at Bluffton. After discovering the hidden complexities of a seemingly simple board game, Darryl Nester programmed an online version of it that has recently been recognized by the game's creator. Phill Talavinia, Bluffton's athletics director, begins his appointment to the five-member NCAA Division III Infractions Appeals Committee in January. Bluffton's vice president for fiscal affairs spent a week with Mennonite Disaster Service (MDS) repairing homes in Far Rockaway, Queens, New York, for families that had given up hope their homes could be whole again. Steve Yarnell didn't always want to be a volleyball coach, but 10 years into his tenure at Bluffton, it's working out pretty well. Moving from pastor to professor, Matt Friesen believes that a strong and supportive community lies at the heart of the Anabaptist tradition. Professor Dan Berger was a Boy Scout for just a couple years as a kid, but, as an adult, he has rejoined with an enthusiasm he thinks will last well into retirement. 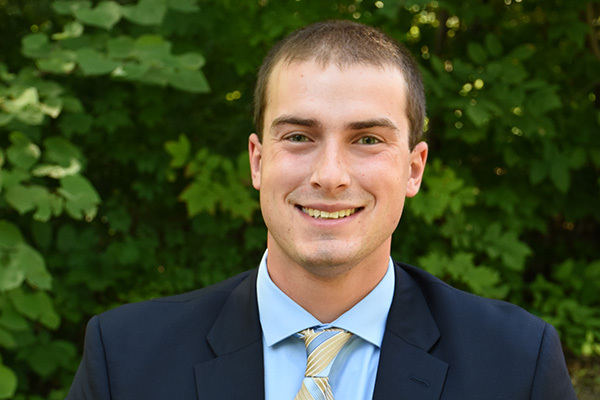 As a member of the Division III Baseball National Committee, James Grandey seeks to foster a better experience for NCAA Division III student-athletes . Two Bluffton students, Matthew McCoy and Daniel Piero, are among 20 nationwide selected for an internship with one of the most powerful supercomputers in the world. For Audra Hammond, physical exercise can be hard to come by. That's why she started a program to encourage herself and her colleagues to get up from their desks and get moving. With the considerable help of a dozen volunteers and several donors, campus counselor Rae Staton had more than 80 Bluffton-themed hats to give to those who had their heads shaved to combat cancer. Two years ago, Dr. Perry Bush traveled to Ukraine to teach as a Fulbright scholar. Last November, he went to Washington, D.C., to help select the next Fulbright scholars. The professor of biology serves as a volunteer commissioner at the Johnny Appleseed Metropolitan Park District, and is pleased with the growth he has seen in the Allen County parks' popularity. Carrie Phillips, archives and special collections librarian, recently celebrated 15 years of healthy brain scans and triumph over a tumor that doctors had found accidentally.